So after 12 days we have just two players remaining in York, Ronnie, the defending champion, and mark Allen, the reigning Masters champion. There were a lot of early exits for top players but, eventually, it’s two of the very best who will be competing in the Final. Marl Allen is at the top of the current one year list, and this only confirms that he is the man in form. Ronnie is currently 6th, quite remarkable for a player who is only competing in his third ranking event of the season, and a win today would propel him to number 2. Ronnie beat Tom Form in the semi finals and you can read all about that match here. Mark Allen beat Stuart Bingham in the other semi final, a match that went the distance. Mark Allen will face Ronnie O’Sullivan in the final of the 2018 Betway UK Championship after the Northern Irishman defeated Stuart Bingham 6-5 in a thrilling last four clash in York. The Pistol has enjoyed great success at snooker’s Triple Crown events in 2018. He will now have appeared in two of the three Triple Crown finals this calendar year. Allen secured the best moment of his career so far by beating Kyren Wilson 10-7 in the Masters final back in January. This will be the second time that Allen has graced the UK final, after being runner-up to Judd Trump in a memorable clash in 2011. Allen faces the daunting task of downing defending champion O’Sullivan tomorrow, who has won 26 of his last 27 matches here in York. However, 32-year-old Allen has had the upper hand in their Triple Crown head-to-head record, having won all three of their meetings to date. 2015 World Champion Bingham was making his third appearance in a UK Championship semi-final this evening. However, he is yet to make the final having lost all three of his semi-final matches in York. Despite Allen taking the opening frame with a break of 99, it was Bingham who took charge in the opening stages this evening. He claimed three frames on the bounce to secure a 3-1 lead at the mid-session interval. They traded century breaks when they returned. Allen fired in a run of 104 to move within a frame, before Bingham reasserted his authority with a sublime 132 to lead 4-2. 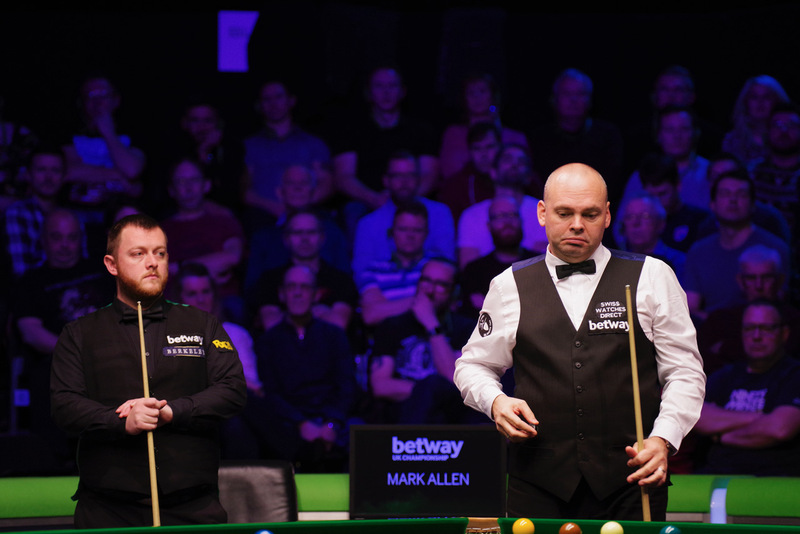 Bingham then spurned opportunities to hammer home his advantage in the seventh frame, allowing Allen in to steal it on the final pink. Two breaks of 54 in consecutive frames helped Allen to move 5-4 in front. However, Bingham forced a decider and high drama ensued. The recent English Open champion Bingham was dealt two major blows, going in-off on twice when potting reds. That afforded Allen the opportunity to book his second UK final appearance with a break of 64. Allen said: “There is nobody in the sport that I haven’t beat, so there is nothing to fear in that way. It has always been my own performance that worries me the most. I want to go out there and entertain like every other top player does. This week it was more grit and determination that got me through. “I’m looking forward to the final. That is why we play the game. You want to face the greatest ever on the biggest stage. The UK final is a pretty big stage. I’m excited, I’m looking forward to it and I have an alright record against Ronnie. In both matches, the players seemed to struggle with their positional accuracy, notably the over-hit a lot of shots. The table had been recovered and was obviously playing very differently from what it had done on the previous day. The Final today will be refereed by Marcel Eckardt, from Germany. 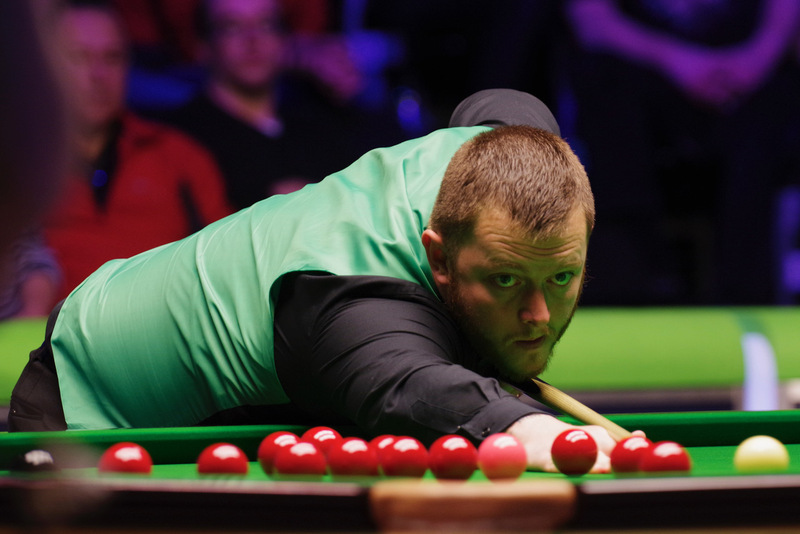 Mark Allen has indeed beaten Ronnie in all three of their triple crown matches. However I’m not sure that we can draw much from this. Two of those wins came in 2009 (WC) and 2011 (Masters) in early rounds at a time where Ronnie was really low. The last one came this year at the Masters, in the QF: Ronnie was unwell and Mark in great form and on his way to win the title. After being taken to a decider by Ken Doherty, Ronnie won all his matches here in York comfortably. The draw of course opened up for him after Judd Trump and Ding Junhui crashed out. During his postmatch interviews yesterday said that, in a way, he was feeling less pressure going into the final because Mark Allen is a top player and this is a fifty-fifty match so he’s not expected to win easily. He has however a lot at stakes: a possible record-breaking 7th UK title, going with a record-breaking 19th Triple Crown. Mark Allen had a tougher route: he had to beat Neil Robertson, Stephen Maguire and Stuart Bingham en route, although, it’s fair to say that Maguire had a stinker in the QF. As much as I’d like to see Ronnie lift the trophy tonight, on form, I have to make Mark Allen the favourite, but only just because Mark has a history of putting too much pressure on himself at times. Le’s hope it’s a great match. Indeed Allen is a very tough opponent because he’s in the form of his life. But yesterday with Bingham he risked to get out. He was 4-2 behind and Stuart was playing very well. That means that Mark is beatable and he can make some mistake. Ronnie isn’t at his best form, sometimes he failes “easy” pots, but he’s totally focused on the game. You can literally feel his will to win; he doesn’t get too nervous if he misses a ball and his able to keep his concentration. In any case Ronnie is playing a great season so far.